I did a little hunting and came back with conflicting news, is it Decadent Diva or Decadent Dish? Or, has it gone by both names? The world may never know, but Google came back with results for both. 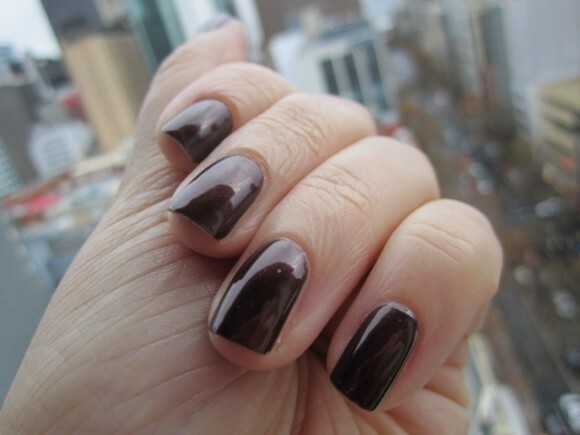 If you're looking for a colour similar to root beer barrels, then Decadent Diva is the perfect match. Essie's captured Autumn in a bottle; chocolate brown with burnt red micro glitter that's so small you won't notice it until the light hits it just right. The leaves have fallen, I've seen days of rain and it's not getting any warmer. Pour a bit of Decadent Diva to help warm your soul this winter.